On a beautiful summer’s evening in 1999, three women – Ellen Moxley, Ulla Roder, and Angie Zelter – boarded a barge moored on a Scottish loch and threw some computer equipment overboard. 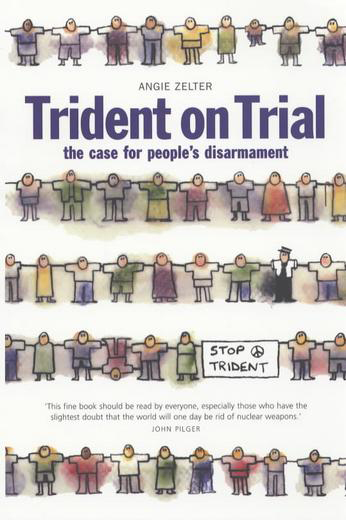 Sheriff Margaret Gimblett acquitted ’The Trident Three’ on the basis that they were acting as global citizens preventing nuclear crime. 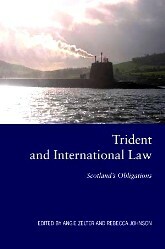 – Is Trident inherently unlawful and immoral? – When can a state use or threaten to use nuclear weapons? – Should international law take precedence over a sovereign government’s? – Can a government be held accountable for ownership of weapons of mass destruction? – When is a citizen justified in acting against what she reasonably believes to be Government crime? – In whose name does the UK government deploy 144 nuclear warheads, each around 10 times the power of that dropped on Hiroshima killing some 150,000 people? The High Court failed to answer any of these questions. Trident Ploughshares continues to challenge the legitimacy of UK Nuclear Forces. In 1996 the International Court of Justice (ICJ) issued its Advisory Opinion on the Legality of the Threat or Use of Nuclear Weapons. The ICJ is also known as the World Court and is the judicial arm of the United Nations used for adjudicating disputes between nations. The Advisory Opinion stated that the threat or use of nuclear weapons would generally be contrary to the rules of International law applicable in armed conflict. This ruling was to affect Angie Zelter’s life profoundly. 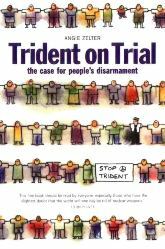 It was the beginning of Trident Ploughshares, the civil-resistance campaign of People’s Disarmament. This is Angie’s personal account of the campaign. It also includes profiles of and contributions by some of the people and groups who have pledged to prevent nuclear crime in peaceful and practical ways. Without such public pressure governments will not abide by the Advisory Opinion nor implement their international agreements to abolish nuclear weapons. “Homo Sapiens appeared on earth in the last flick of an evolutionary eye, and in the very recent past has modified the world in ways that may give the species a prize for rapid extinction. It is, surely, within our power to demonstrate that the particular forms that higher intelligence took will not prove to be a lethal mutation.